IT WAS hard enough getting Laura Langman off the court when she first busted her finger on Saturday, and it seems Sunshine Coast Lightning coach Noeline Taurua will have an equally tough job keeping her from lacing up this week. 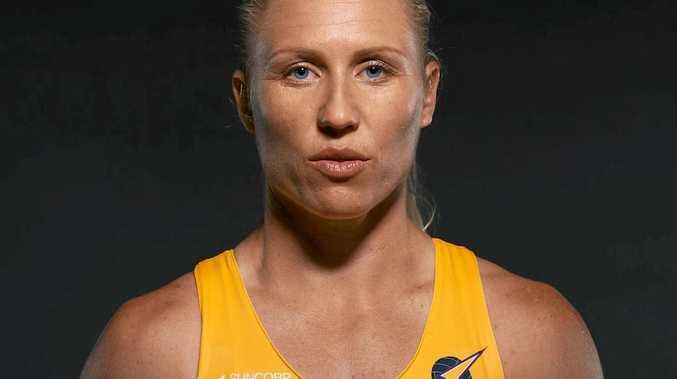 The "fierce” Kiwi midcourter will be named in Lightning's squad to play West Coast in Perth on Friday night, but her progress will be monitored up until the final hours before the match. Taurua said the injury, a dislocated finger which pierced the skin, was just part and parcel of netball. "We're very lucky when we can strap them together,” she said. Langman sat out Wednesday morning's training session to give the injury more time to heal. "Laura is a fierce competitor and we know what we need to do in regards to managing her,” Taurua said. Lightning captain Geva Mentor said Langman was a "tough cookie” and she expected to see her line up this weekend. "We all know fingers out of place are rather painful,” she said. Mentor said she admired Langman's desire and commitment to the team, often being the first to arrive and the last to leave training sessions. "For me she is an absolute machine on and off the court,” Mentor said. Taurua said goal attack Steph Wood recovered from her first full match against Magpies in good order, despite sending a scare through camp early in the match when she appeared to hobble on her ankle.